you can search through www.airbnb.com for Falmouth. 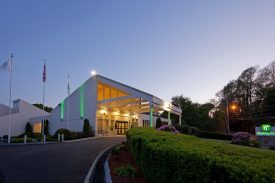 The Art Center is approximately two blocks from the Main Street of Falmouth. -walking distance from Art Center but a little further from Main Street area. Has a restaurant.